I got a tattoo when I was 19. It was the trendy thing to do, and I've always been one to follow trends... so with a little liquid courage, I walked into Tigger's in Deep Ellum and got inked up. I gave no real thought to my design, which meant that I pretty much instantly regretted my decision. It was about the size of a quarter - a heart flanked by small leaves. Everyone thought it was a strawberry. Years later, after having my son, I used laser removal to get rid of it (much to my husband's delight). 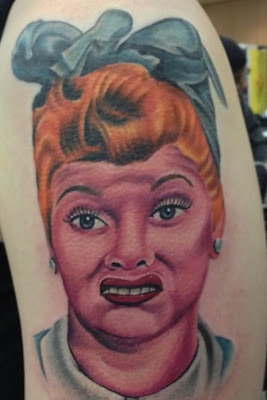 Local tattoo removal specialists at UnInk have partnered with the Dallas Observer to host the UnInk Ugly Tattoo Contest in search of Dallas’ ugliest tattoo. Those interested in entering the contest can post a photo of their tattoo on Facebook, Twitter or Instagram using the hashtags #uninkme and #dobrewfest, or they can submit a photo via email to dallas.promotions@dallasobserver.com with the subject UnInk Me. All submissions must be received by Aug. 16, 2013. Public voting will run from Aug. 17-19 and the winner will be chosen on Aug. 20, 2013. Only one entry per person of one contiguous tattoo less than 20 square inches is allowed. The winner receives complimentary tattoo removal treatment worth up to $5,000 and two VIP tickets to the 3rd annual Dallas Observer BrewFest. Contestants who don’t make the cut still get 30-percent off UnInk’s Tattoo Removal package. The deadline to enter the contest is August 16th and the five ugliest tattoos will be shared with the public August 17-19 at DallasObserver.com, where readers can vote to select Dallas’ ugliest tattoo.